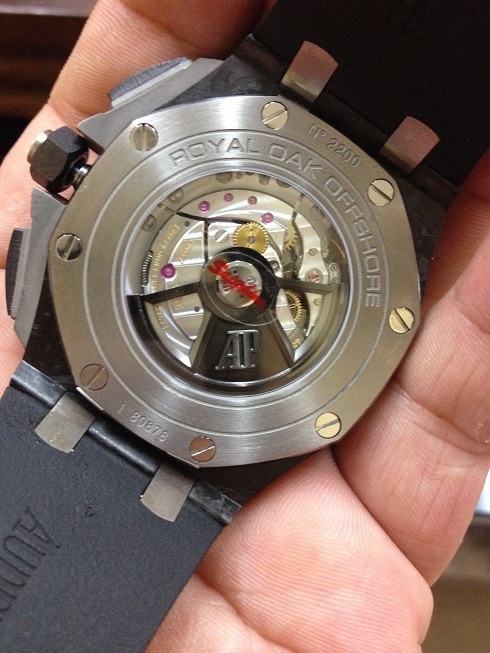 J12 factory has been replicating this Cal.3126 movement since last year, this time they install the Asian 3126 movement in two new pieces, one is Royal Oak Offshore LeBron James limited edition, the other is Royal Oak Offshore forged carbon edition. 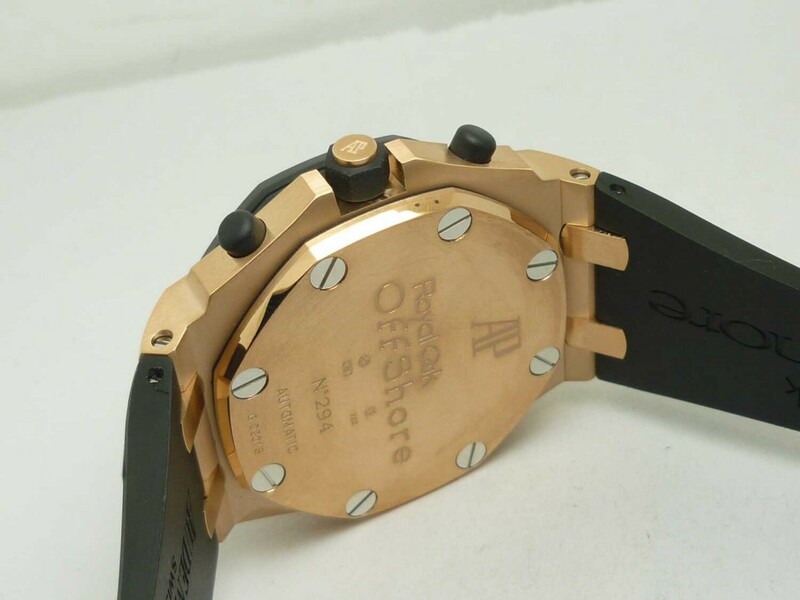 Two replica watches are all 1:1 replicated from genuine. 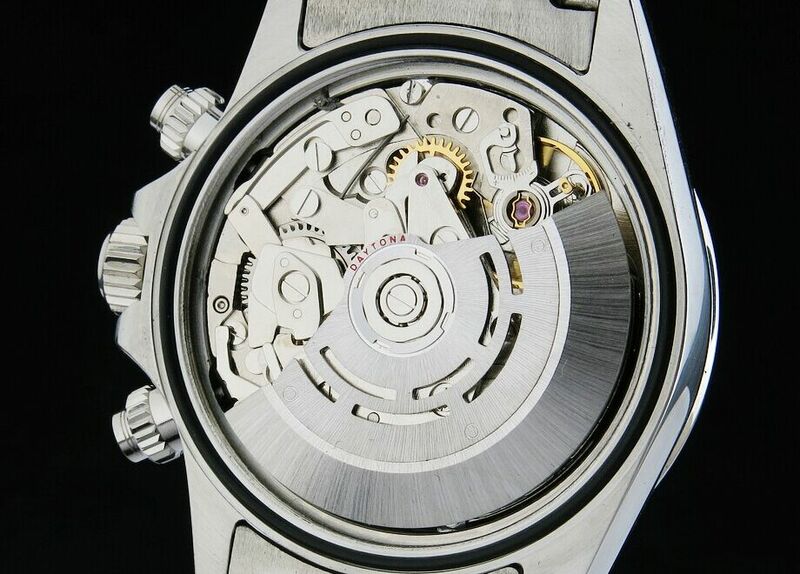 The mostly talked AP Calibre 3126 movement clone is the latest work from J12, its basic movement is Asian 7750, platinum plated movement plate and rotor are decorated to the looking of AP 3126. 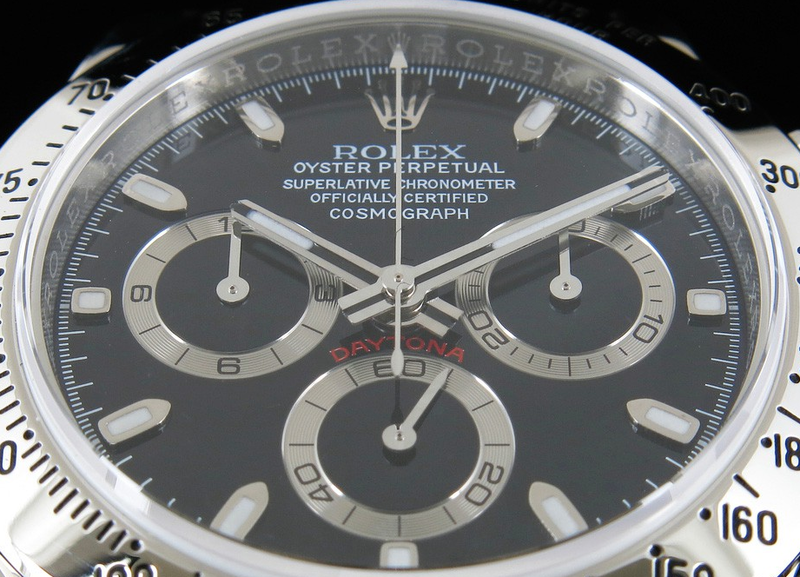 Time for this replica Rolex Daytona 116520 photo review, Rolex is always loved in the replica world, especially Daytona, the stainless steel version is the favorite watch of many Rolex fans. 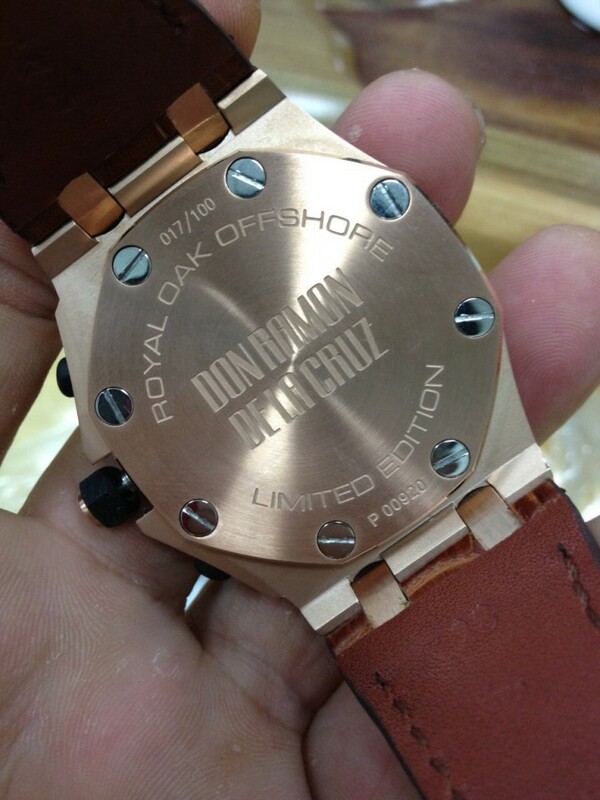 This replica Rolex Daytona is manufactured by J12 factory, alwo known as J12 or JF in China fake industry. 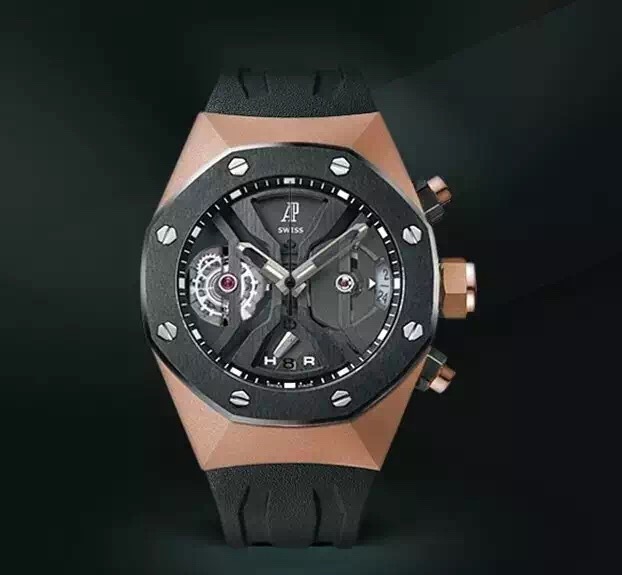 This factory has a wide business range, they were famous for making Chanel J12 replicas in the beginning, nowadays, the factory expands its business to replicate Audemars Piguet, Rolex and other brands. 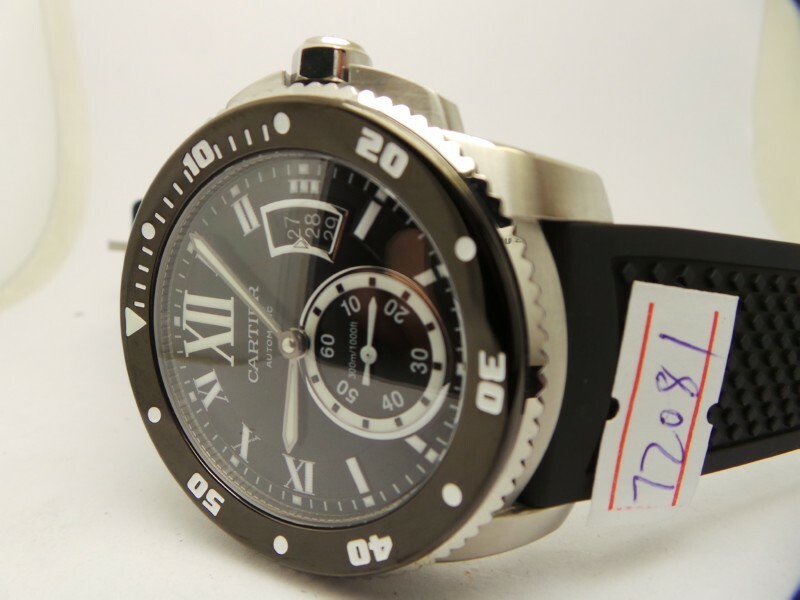 The biggest difference between J12 replicas and replica watches made by other factories is the case polishing, if you have ever bought one replica from J12, you will find the outside work of the replica has few difference with the genuine watch. 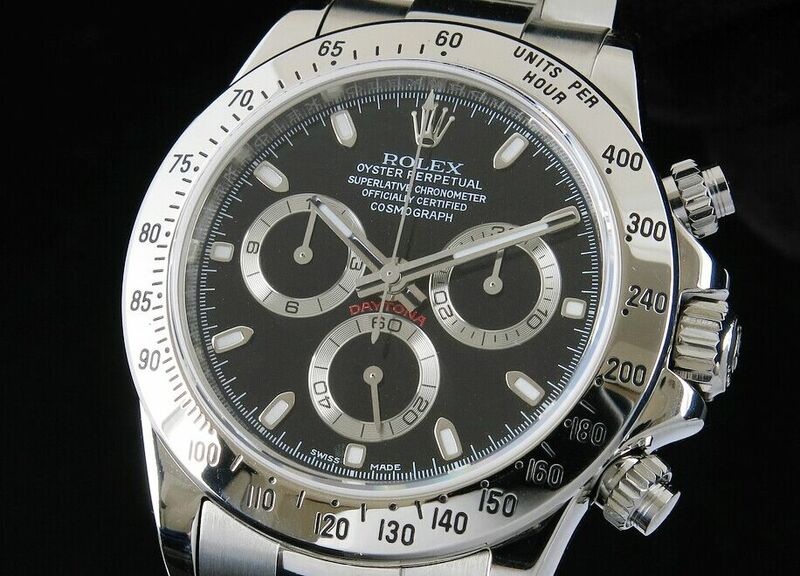 So is this replica Rolex Daytona 116520. 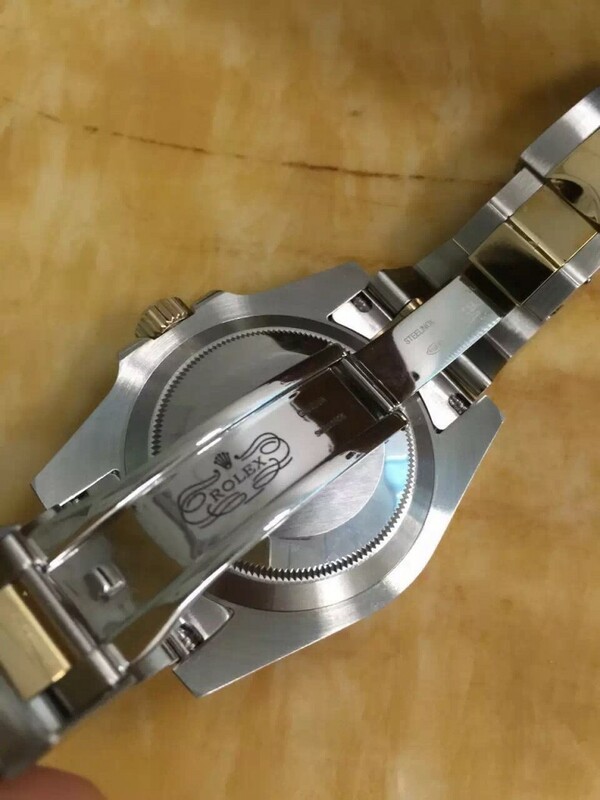 The dial has a perfect layout design, white lettering printed below crown logo at 12 o’clock, three silver subdials are positioned at 3, 6 and 9. 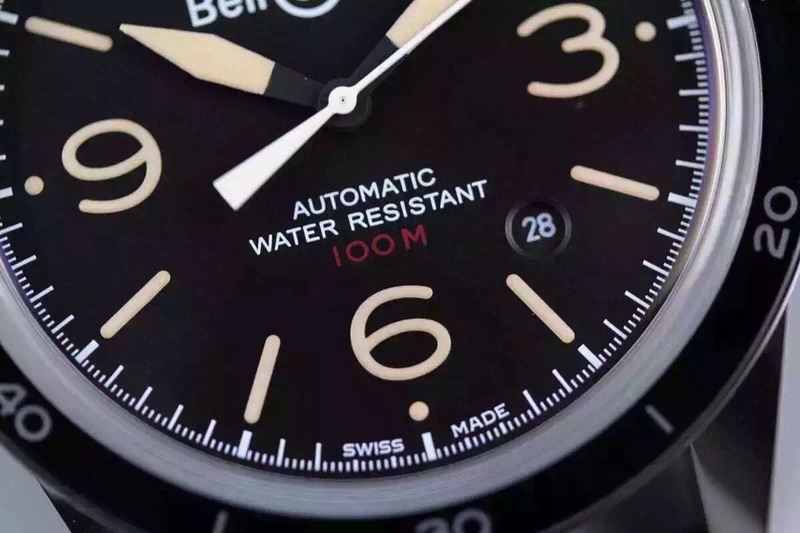 The small second hand is running on the subdial at 6, 30-minute chronograph counter and 12-hour chronograph counter is at 3 and 9 o’clock separately. 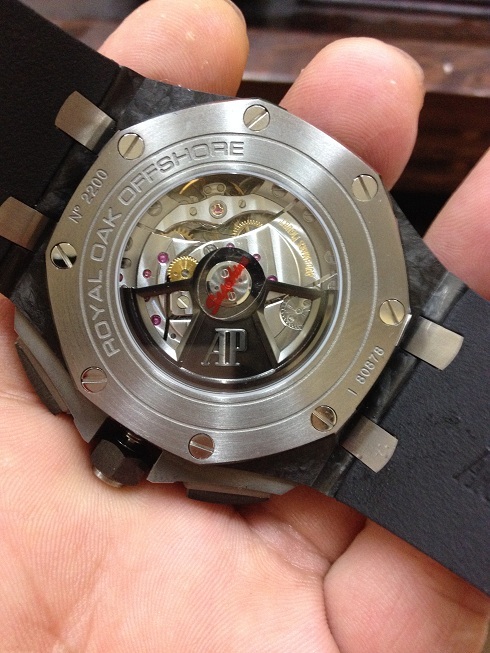 The red words “DAYTONA” are prominent on the black dial. 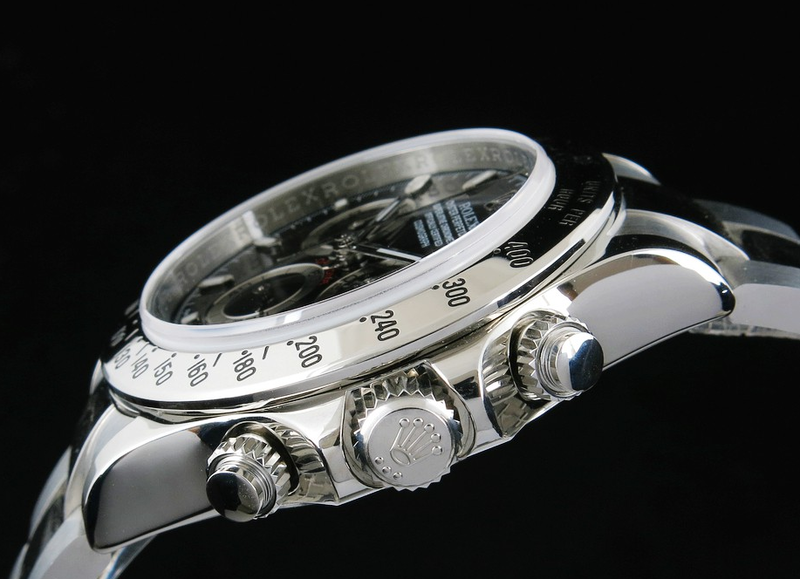 Bar-shaped hour makrers have pointed end, like the genuine Daytona, these markers are all applied white luminous material, which are surrounded by silver edge. 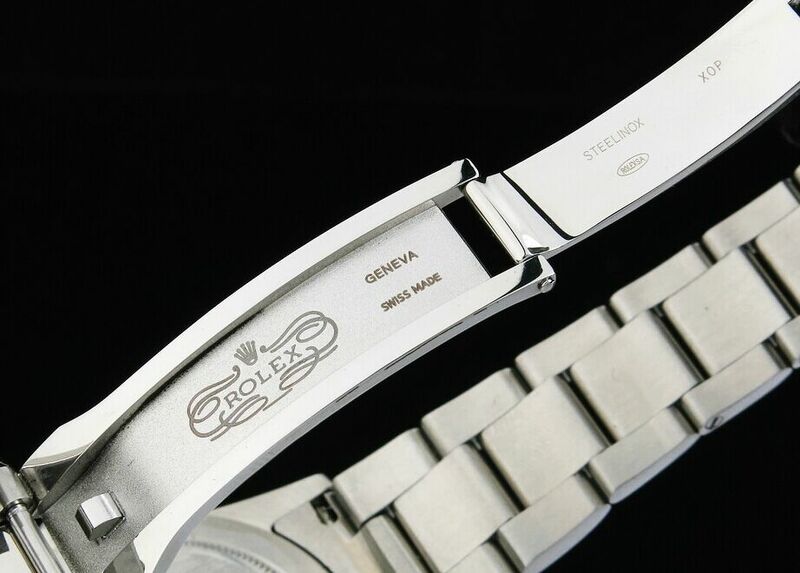 Hour and minute hands also have luminescence filled on the center, hands on the dial are in silver, which are consistent with the silver case and bracelet, very harmonious in style. 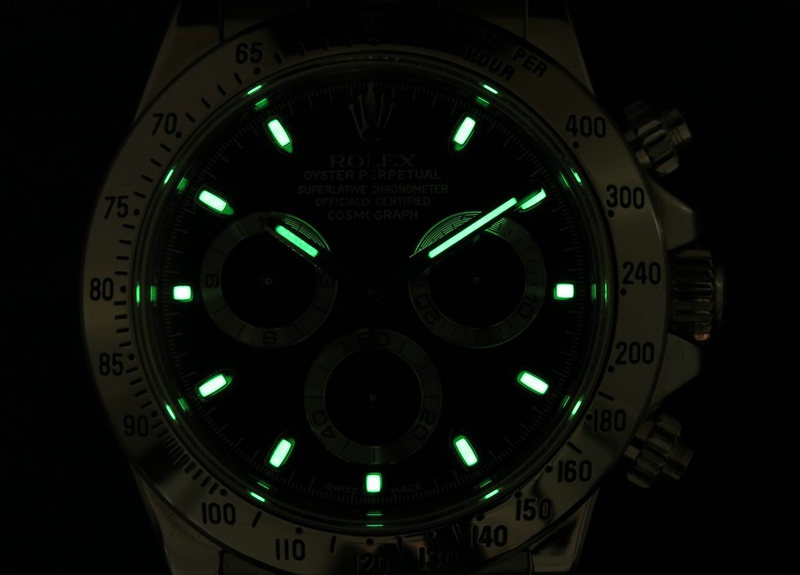 The green lume light is strong, see the picture below. 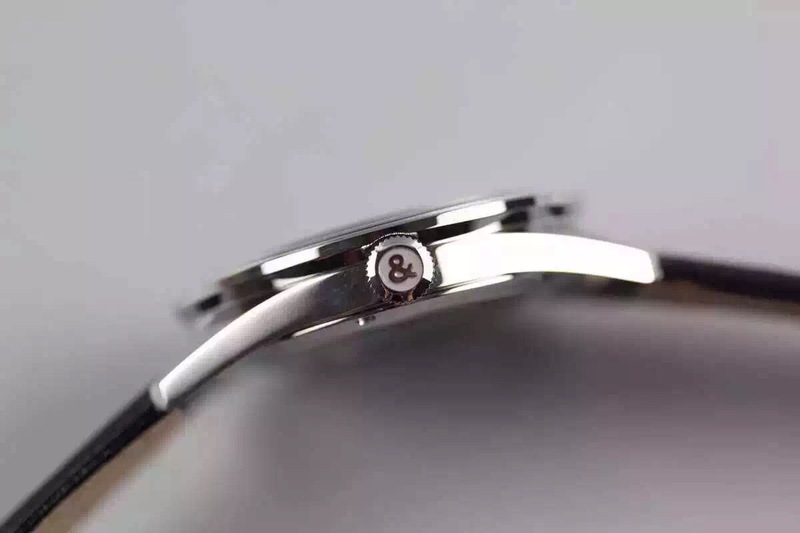 If you check carefully, there is a tiny crown in the crystal at 6 o’clock. 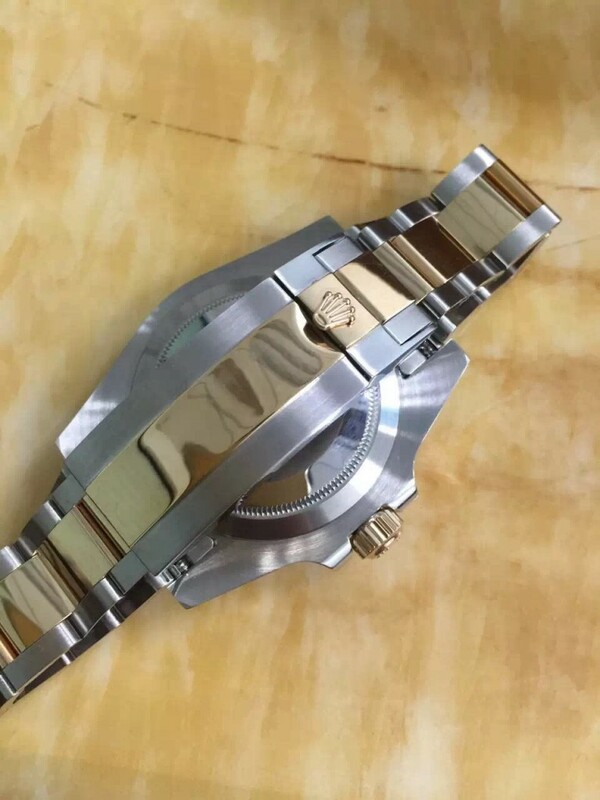 The central link is polished while the links at two side are brushed, the replica Rolex Daytona features a good quality buckle, very easy and comfortable to open, clear engraving on clasp, satin finished, you can compare the clasp engraving side by side, it is very close. 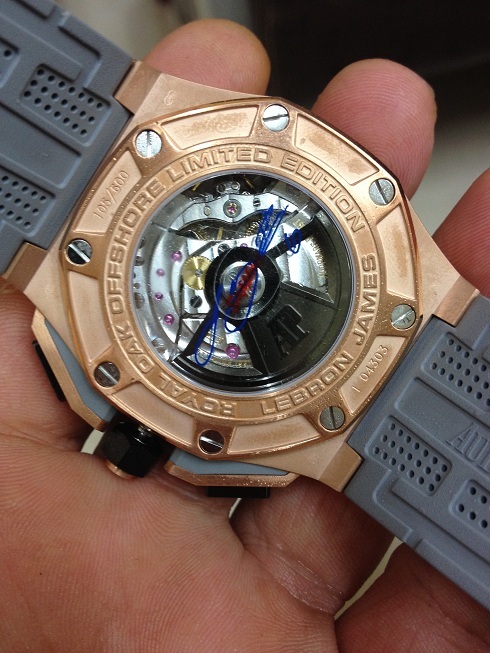 Open the case back, the first thing comes to your eyes is the beautiful fish-scale Geneva Stripes on movement plate, golden balance wheel and gears are also very attractive, rose red rubies echo with the red lettering DAYTONA on the rotor. 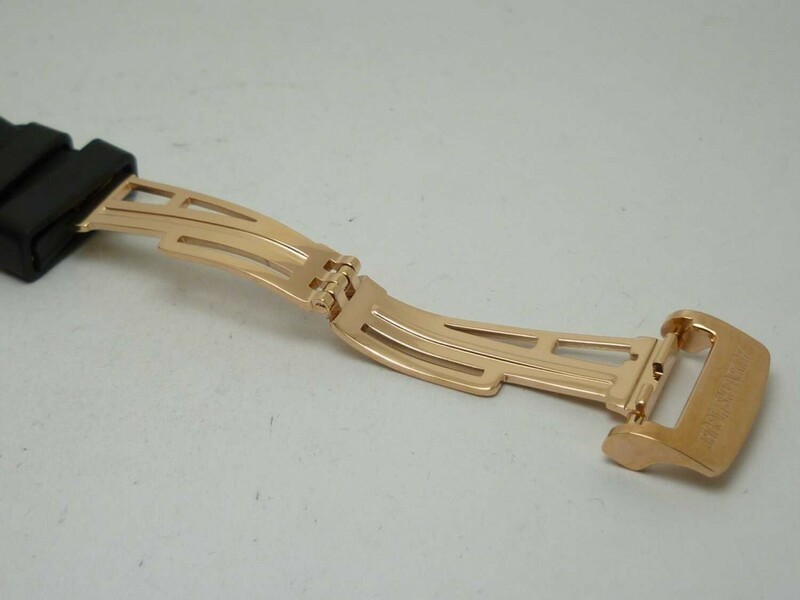 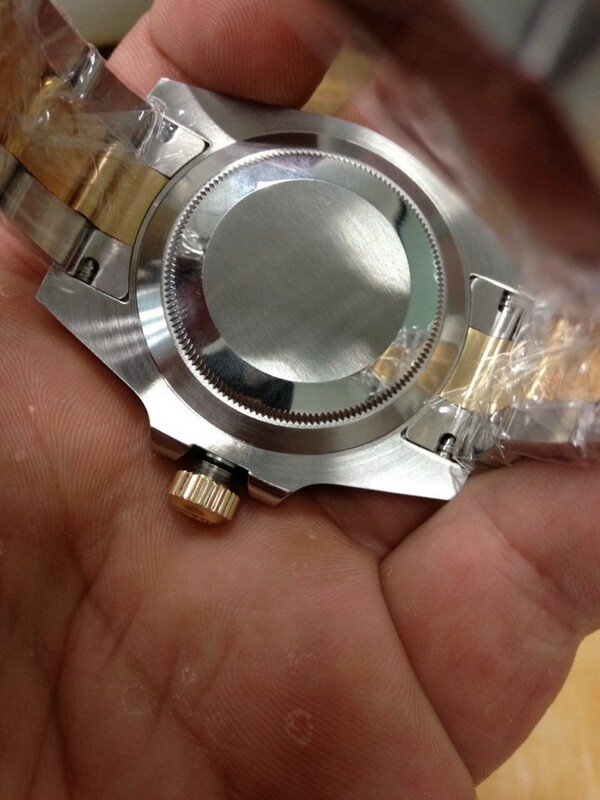 The Asian 7750 movement is very stable and reliable. 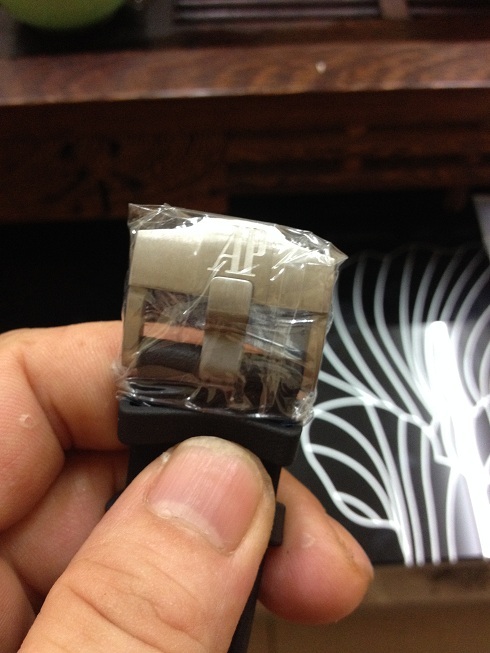 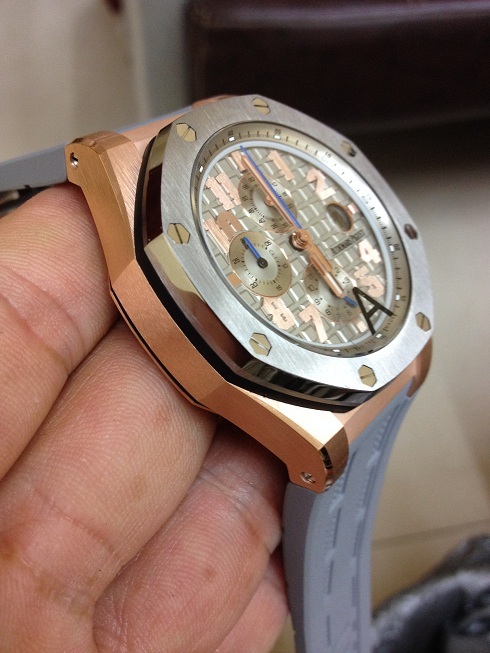 The latest AP 2015 replicas will be launched in these days, easily on July 19th, the price is still unconfirmed. 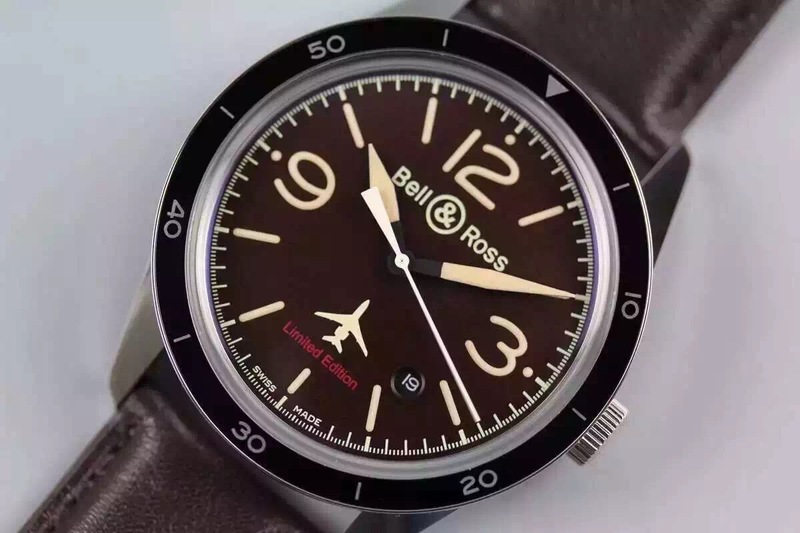 Two Bell Ross replica watches were manufactured by factory in Chinese watch industry, they were improved compared with the past V1, they are using sapphire crystal. 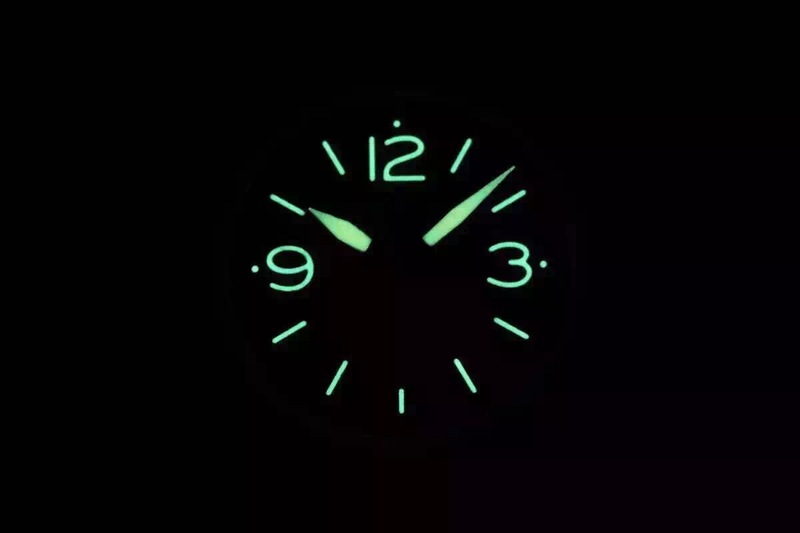 SuperLumed dial. 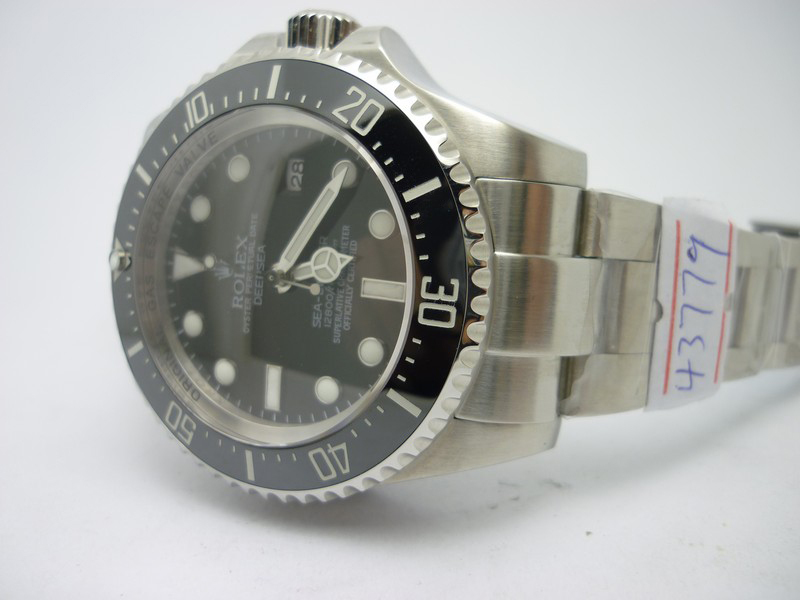 Welcome Jason to send his review about this replica Rolex Deepsea Sea-Dweller watch, he said this watch is the most accurate replica he has ever bought, compared with other replica Rolex he bought before, this one has less flaws and some of its components can really be exchanged with genuine watch. 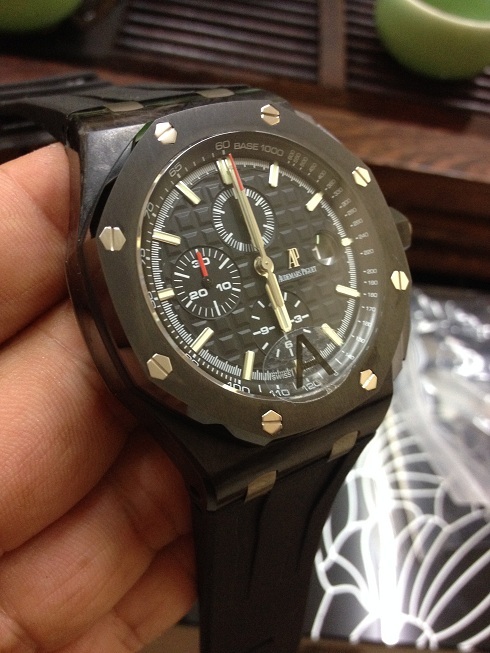 So, let us appreciate his review first, the following are watch pictures the seller posted him before shipping the replica. 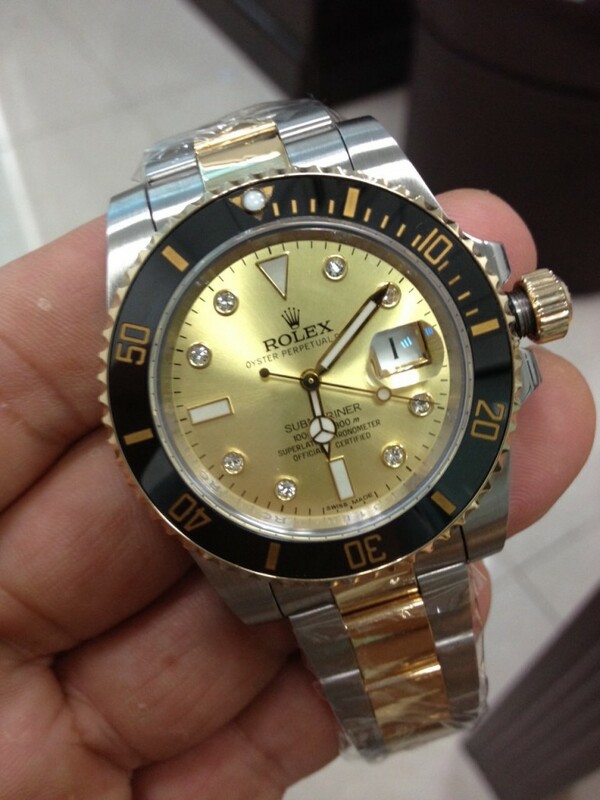 I was shocked by its appearance at the first glance when I opened the package, it is a great high end replica Rolex I immediately recognized, the ultimate version they called these type of replicas. 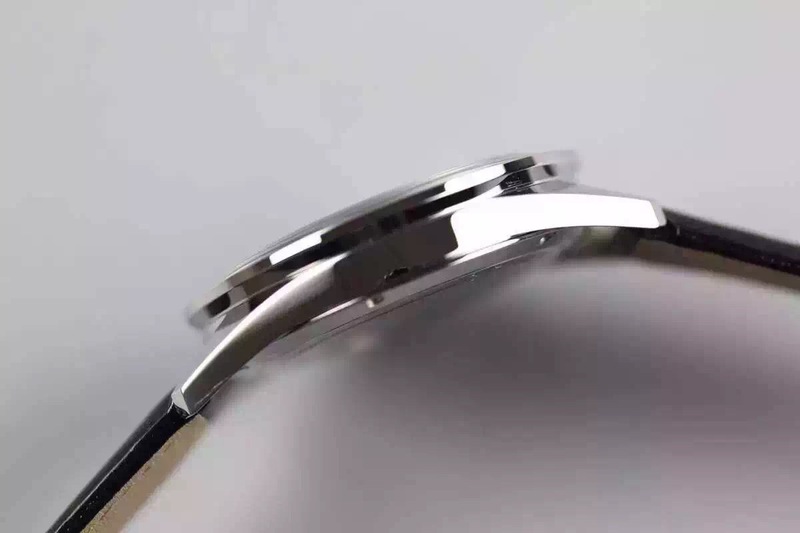 The casing craft is done perfectly, I feel it by hands and the touch is very good, just like touching the genuine watch, especially when my fingers stopping at these corners on the case, they are as smooth as genuine. 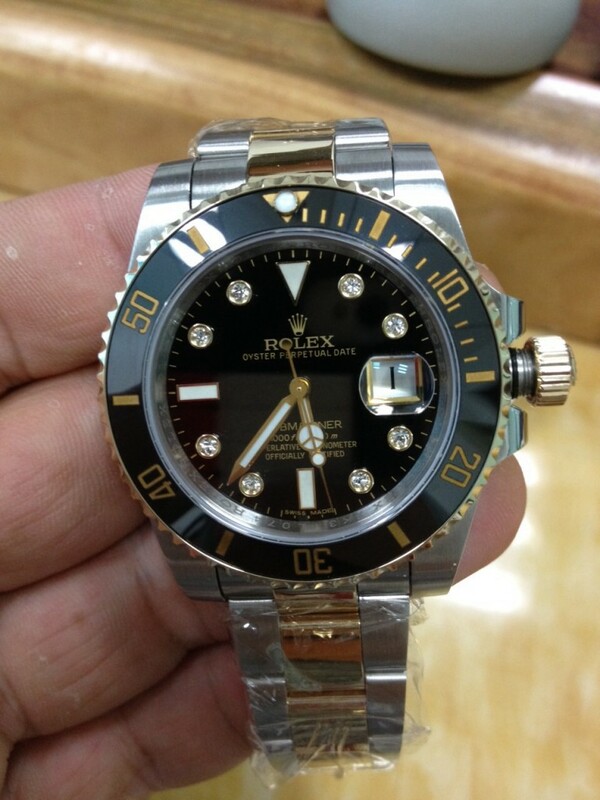 Different from earlier versions of replica Rolex Deepsea Sea-Dweller, the bezel of this replica uses real black ceramic, more important, the bezel structure features sandwiched numeral insert like the genuine, this is the most accurate bezel I have ever meet. 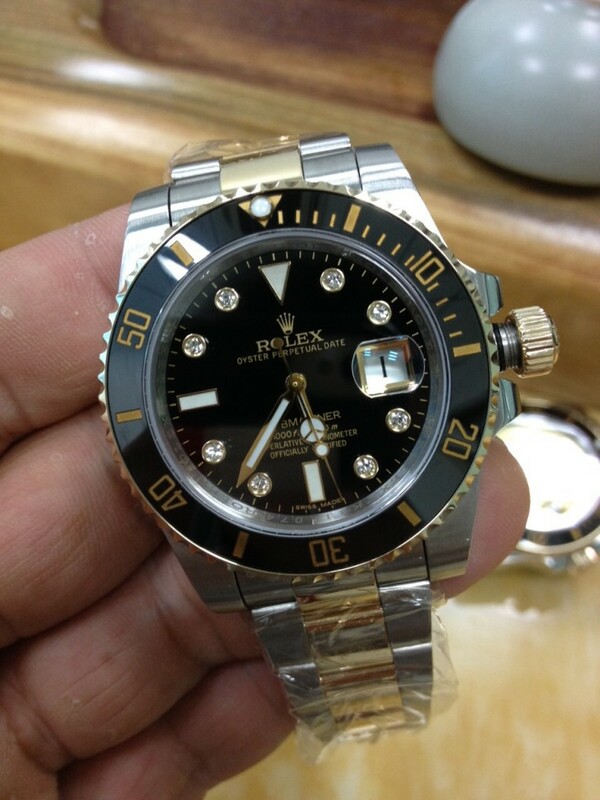 Other replica Rolex Sea-Dweller did not use real black ceramic, or they look a little greyish. 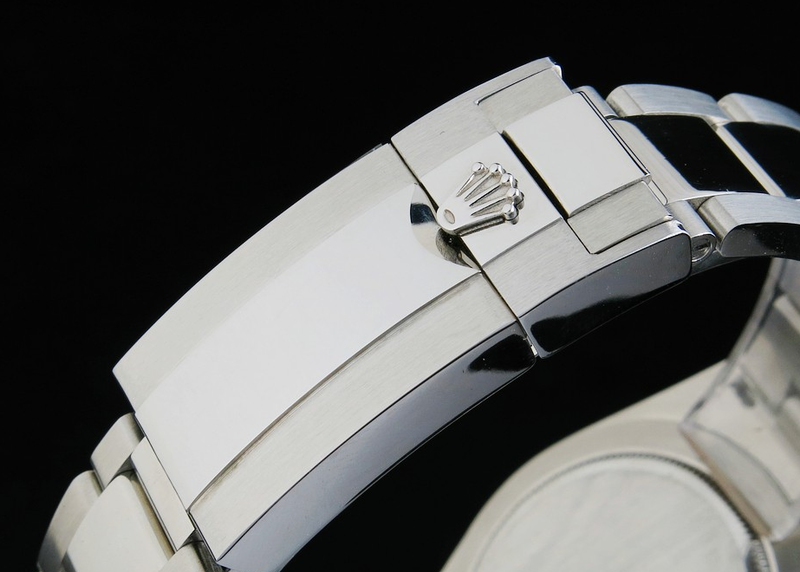 The bezel pearl is not flat, it has a little arc on top and the color look closer to genuine. Maybe the replica has some different size of bezel tooth compared with genuine, and the clicking sound is not that crisp. 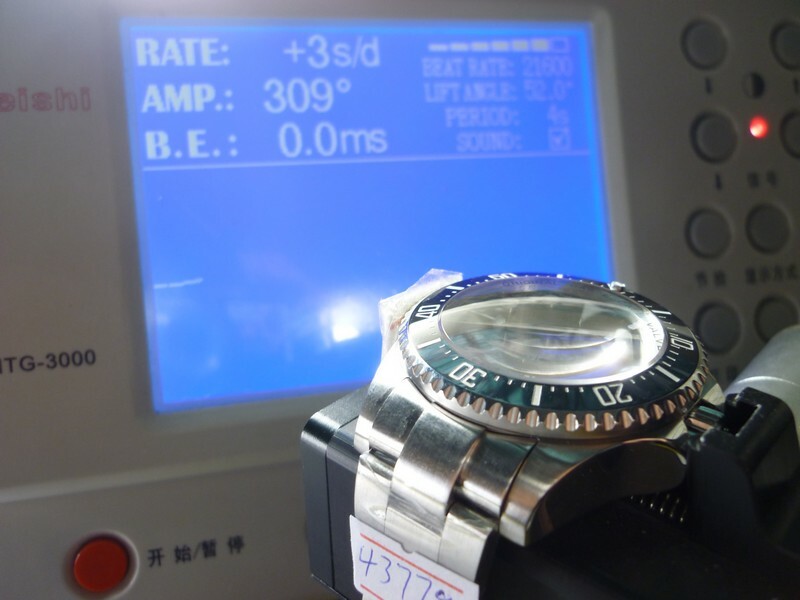 The dial also has some shining points, such as deep inner bezel engraving and pure blue lume colour. 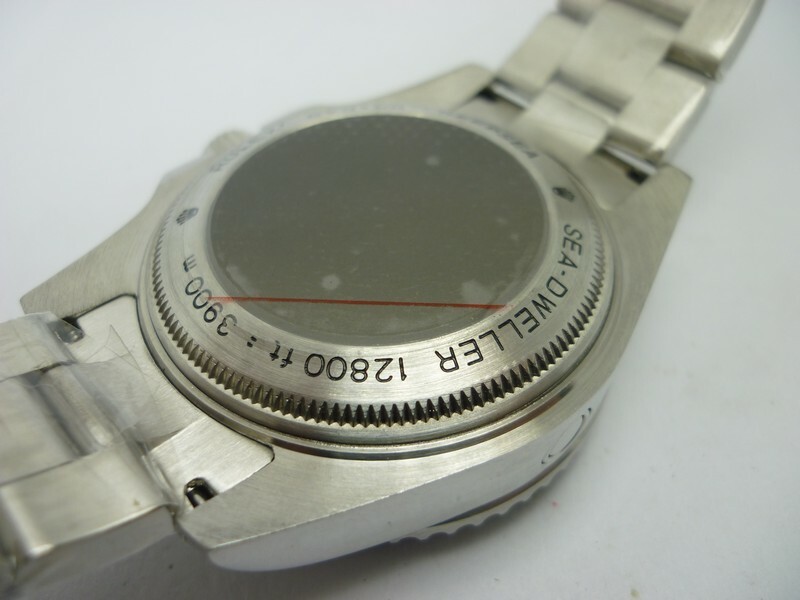 The thickness of date font is adjusted to be more accurate, the dial printing all look good, you will not find any flaws without a magnifier. 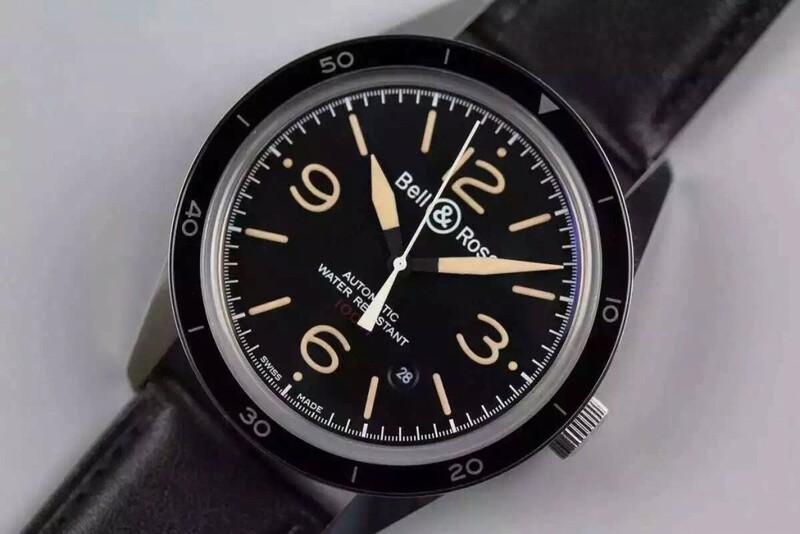 Hour markers and hands have silver edges, and their central part is coated with white luminous material, overall, the whole dial details look perfect in my eyes. 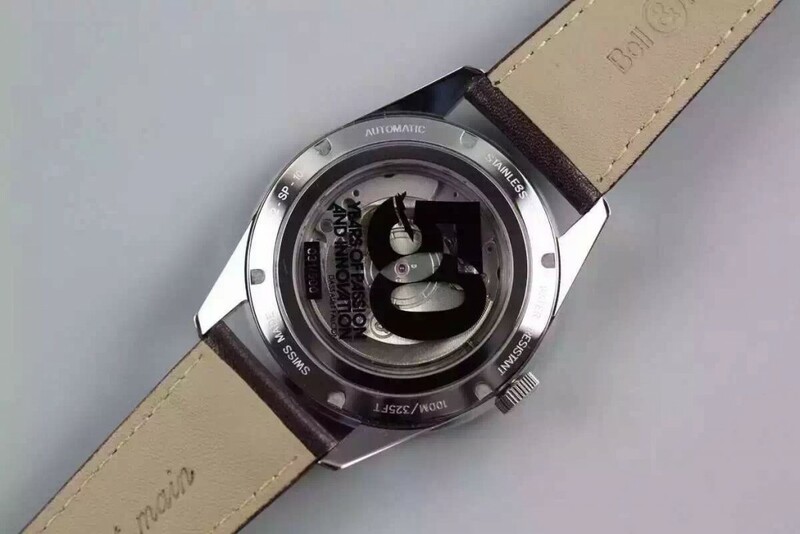 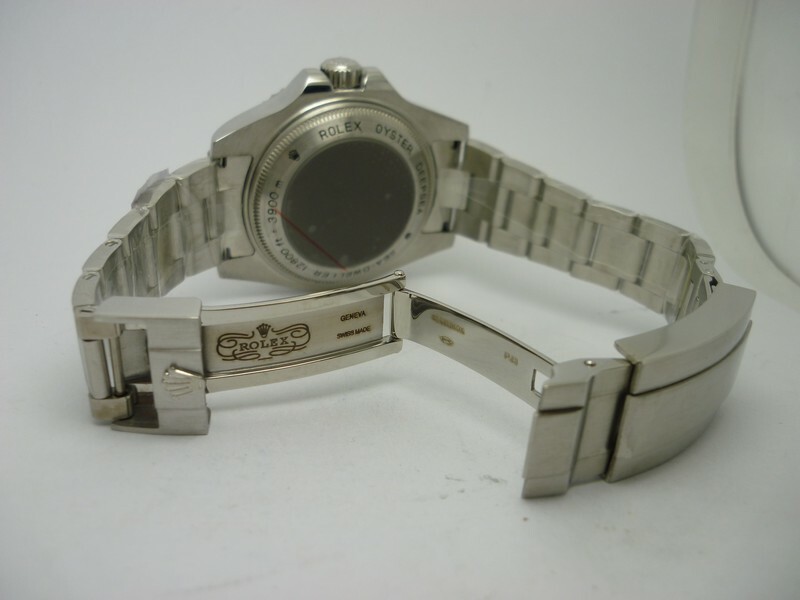 The dealer told me the movement does not use the original 3135, it is an Asian 2813 movement, actually according to my knowledge, the clone 3135 calibre is not that stable as ETA clone movements, I prefer a long stalbe and reliable Asian ETA 2813 movment inside the case, it could supply a long life to the replica Rolex Deepsea Sea-Dweller watch. 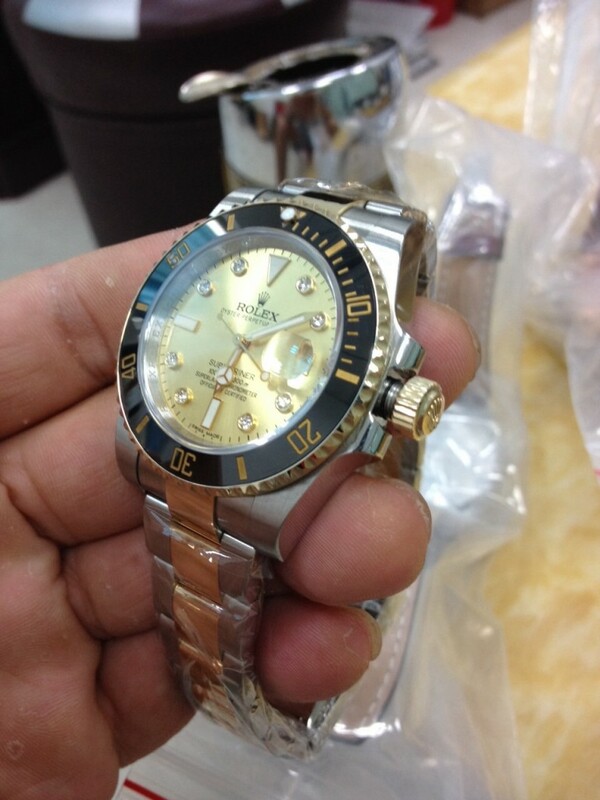 By the way, due to one-piece screw-down crown with o ring crown tube, the replica watch can dive to 50 meters. 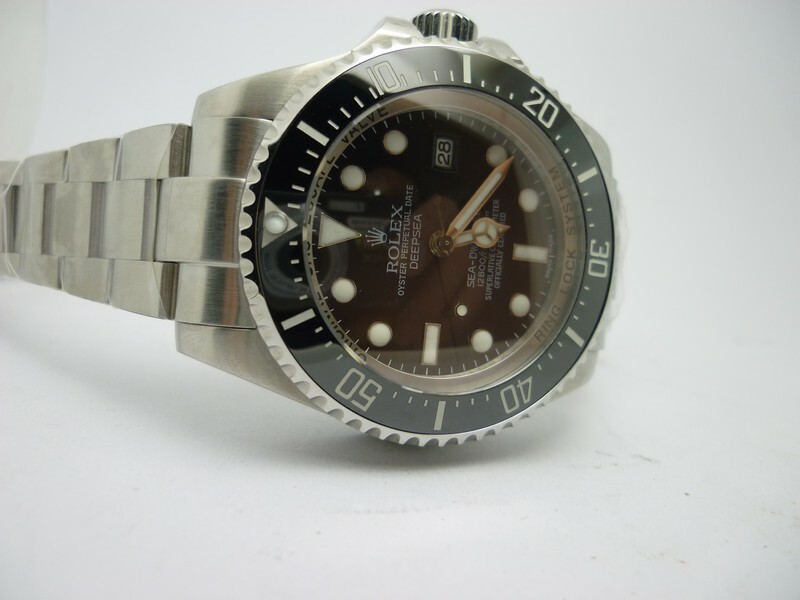 Two replicas of Rolex Submariner 116613 LN made by Noob factory, which is also known as Noob or Noob maker. 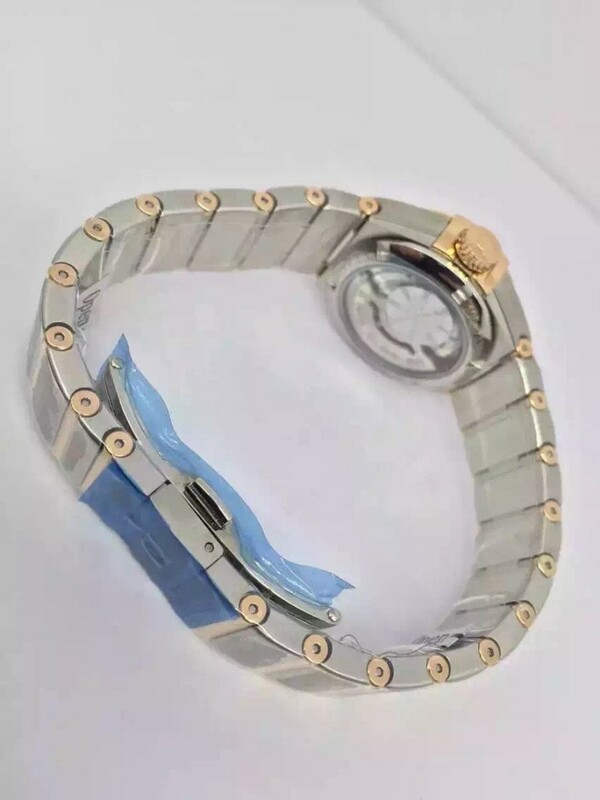 They are 40mm in case diameter, made of 316L stainless steel, the middle links of bracelet are made of wrapped yellow gold, black bezel also has wrapped yellow gold markers, which are engraved. 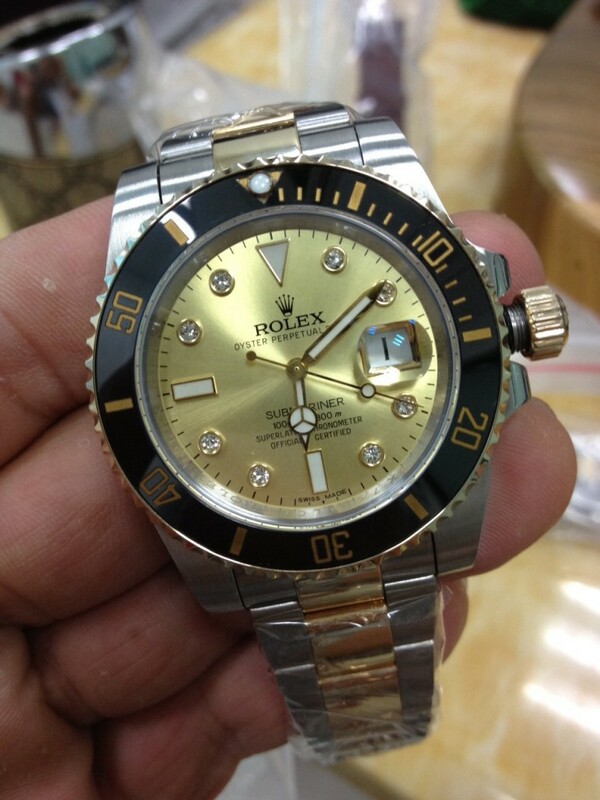 There are two versions, one is in black dial, the other is in yellow gold dial. 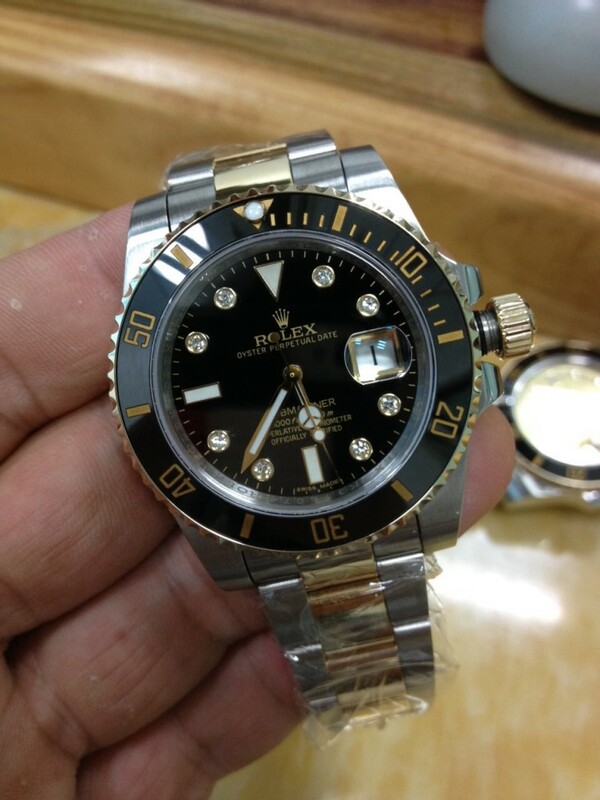 Both are equipped with Asian ETA 2836 movement, superlumed 6-9-12 hour markers, others are diamonds with yellow gold edge. 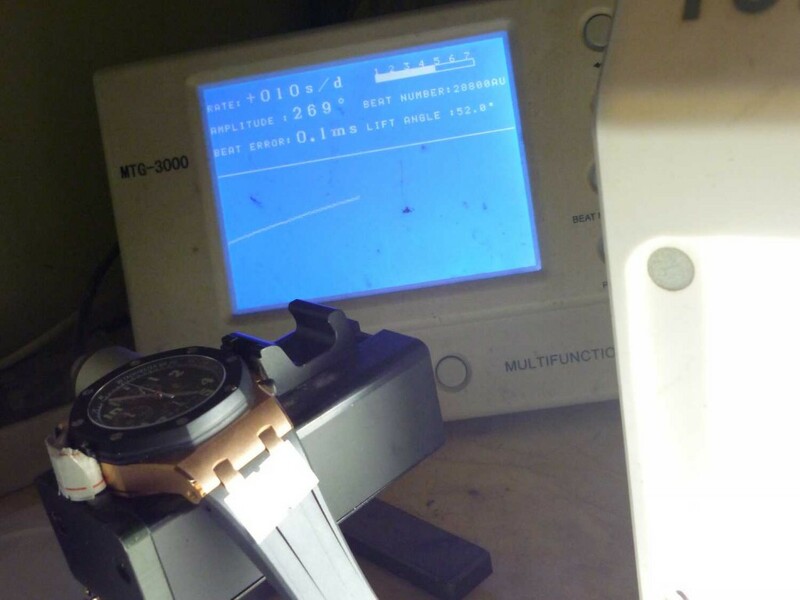 By the way, the lume is strong blue and the diamonds are not genuine. 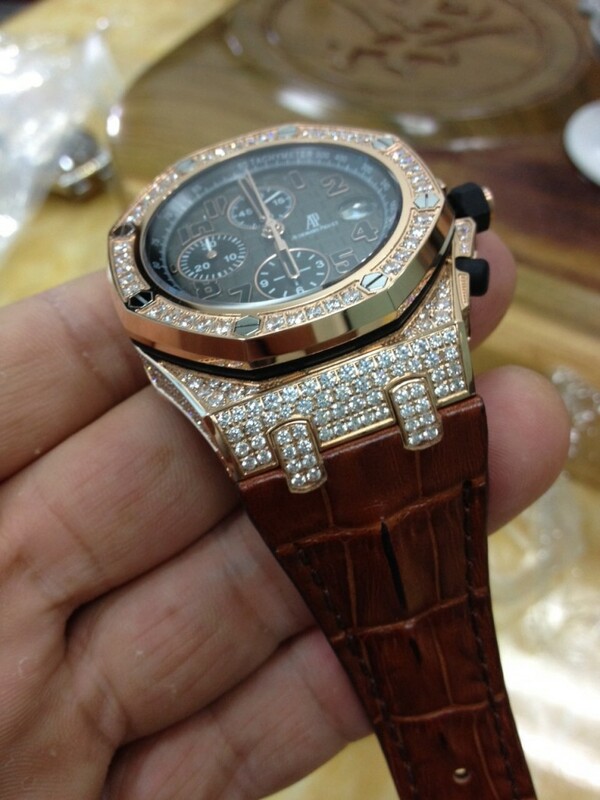 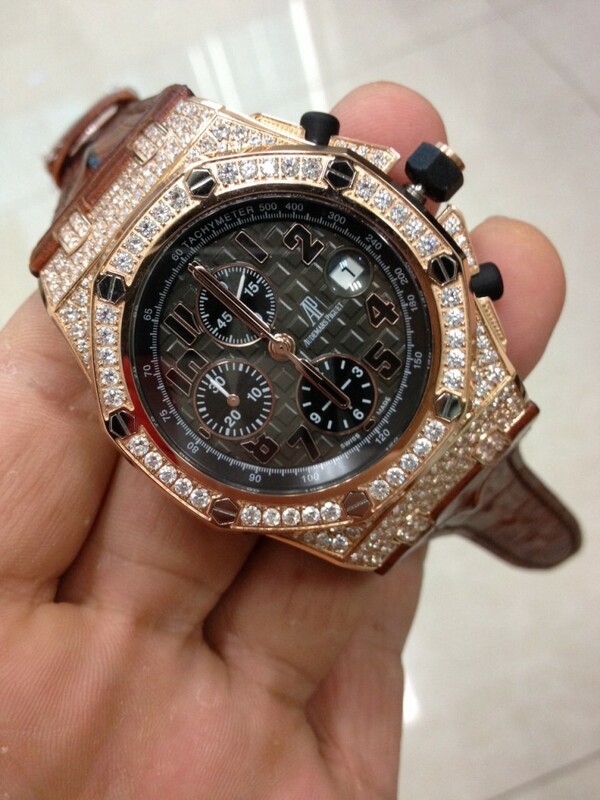 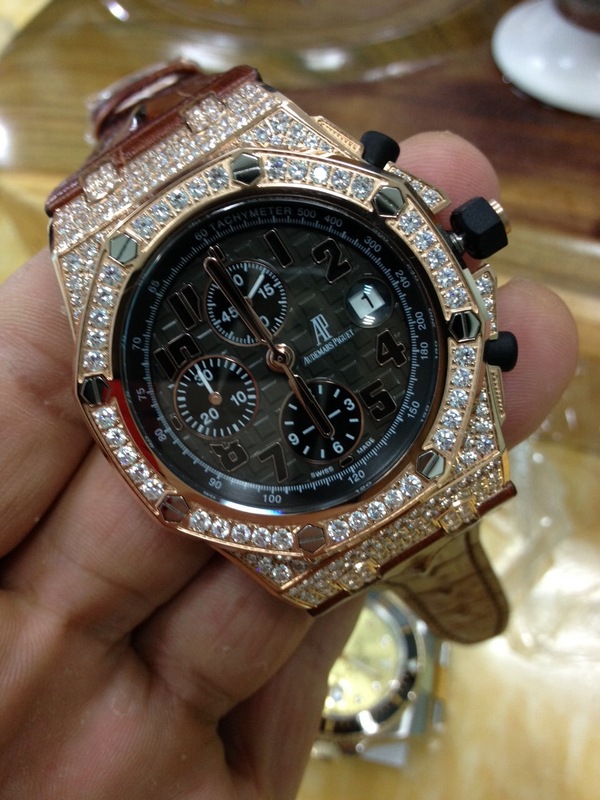 A lot of AP replicas published by Noob factory, they are Audemars Piguet DON RAMON de la CRUZ limited edition watches, which feature full diamonds on bezel, case and lugs, the replica watches are equipped with brown leather strap, Asian Valjoux 7750 inside these replicas, running Secs@12. 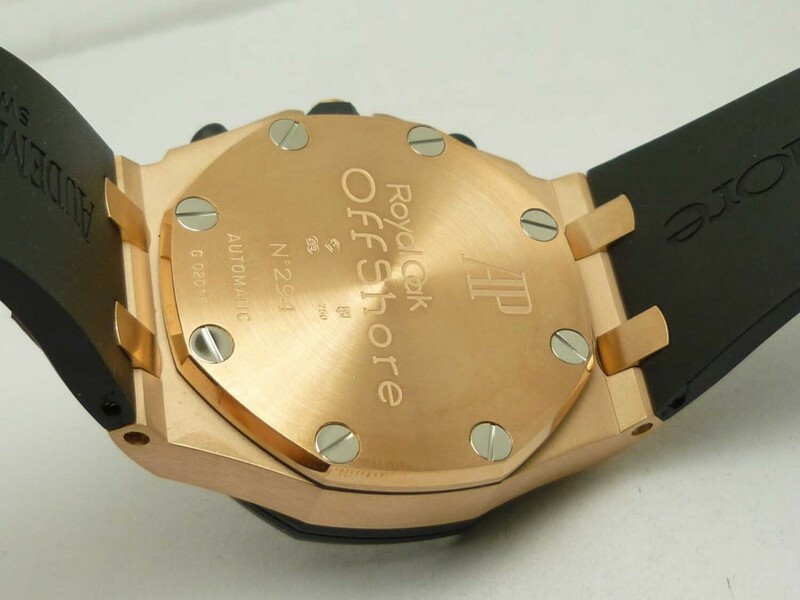 Rubberclad chronograph buttons. 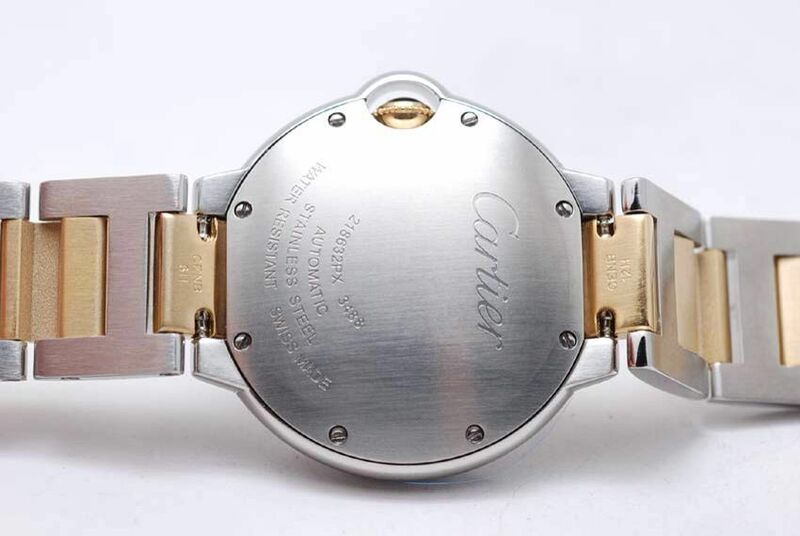 It seems like Cartier is not good at making diver watches, the Calibre de Cartier Diver replica watch is 1:1 replicated from the original, you can hardly find any sign that marks its diving label, except the lume. 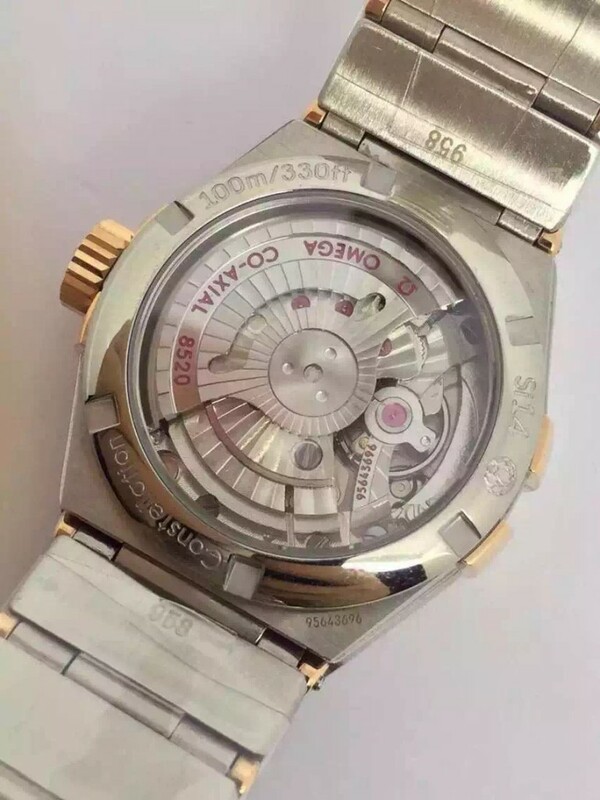 I like Calibre de Cartier watches, they integrated the latest Swiss watch-making technology, but I think Cartier should not push their Diver watch series to the Calibre series, they are fully capable of developing a brand new series and setting up a new brand image for their diver watch. 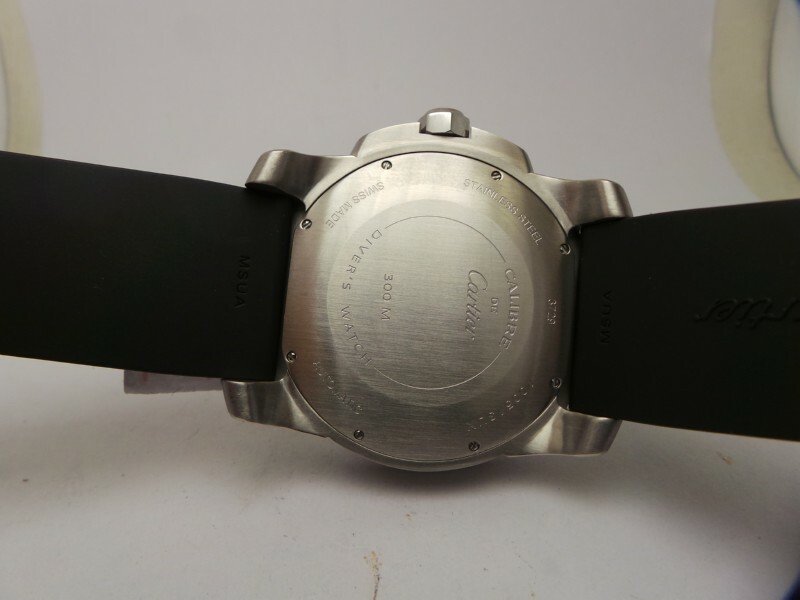 This Cartier Calibre Diver replica watch is produced by a new factory in Chinese fake watch industry, it is called TF by us, the factory makes high quality Audemars Piguet 15400 replicas and other good tourbillon watches. 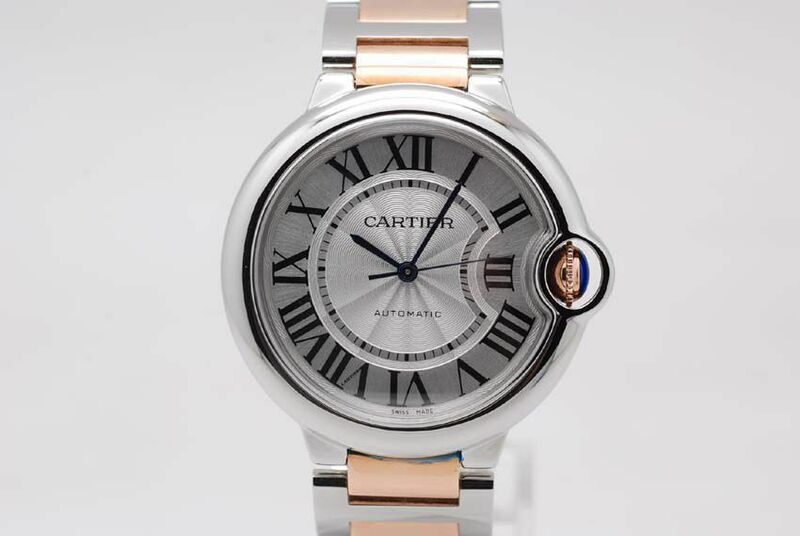 The replica Cartier Calibre Diver watch is measured 44mm in case diameter and 11.5mm thick, the case features an uni-directional rotating bezel, which has DLC plated, the bezel has white plump markers that are luminous like hour markers and hands, here I forgot to shot the lume photo, in fact it is strong blue color. The dial is large enough to show each information you need, date is displayed at 3 and small second hand is running on the subdial at 6. 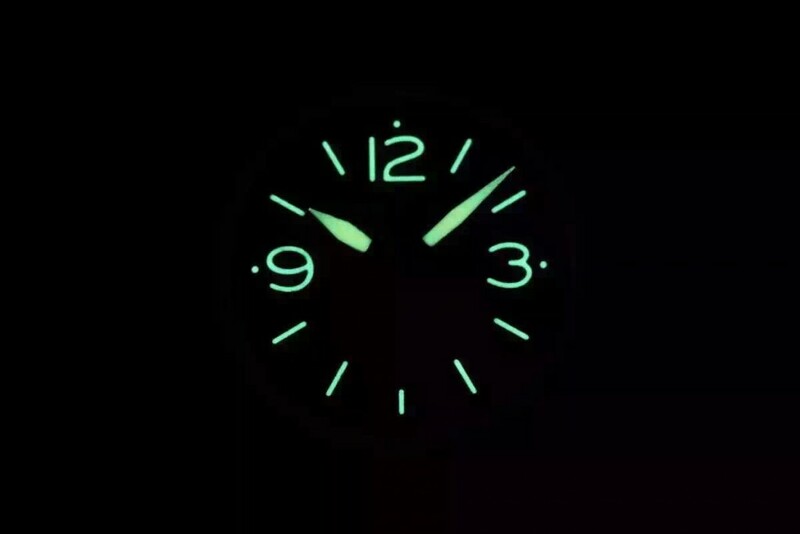 Big XII hour markers is at 12 on black dial, in a word, the dial has perfect lume effect in the dark and every thing looks clear even under the sun light. 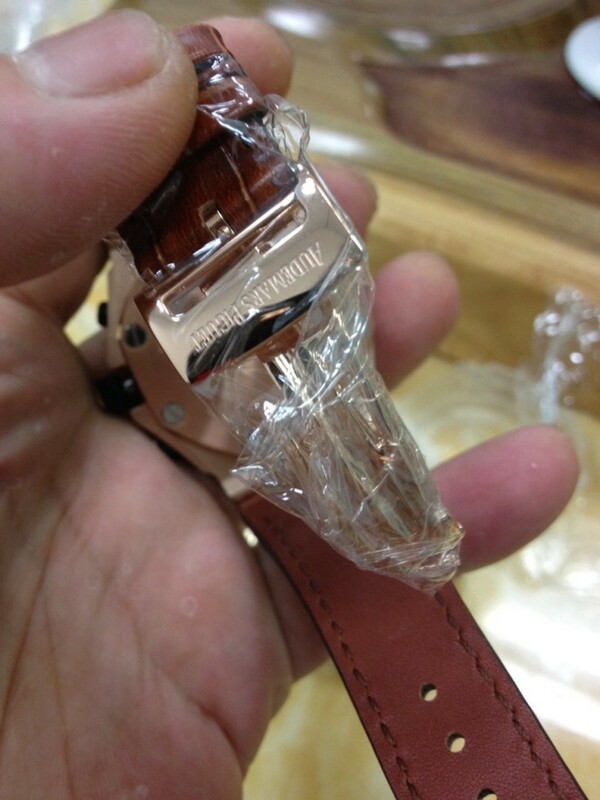 You can get watch information from the case back, which has model name and other engraving like water resistant depth. 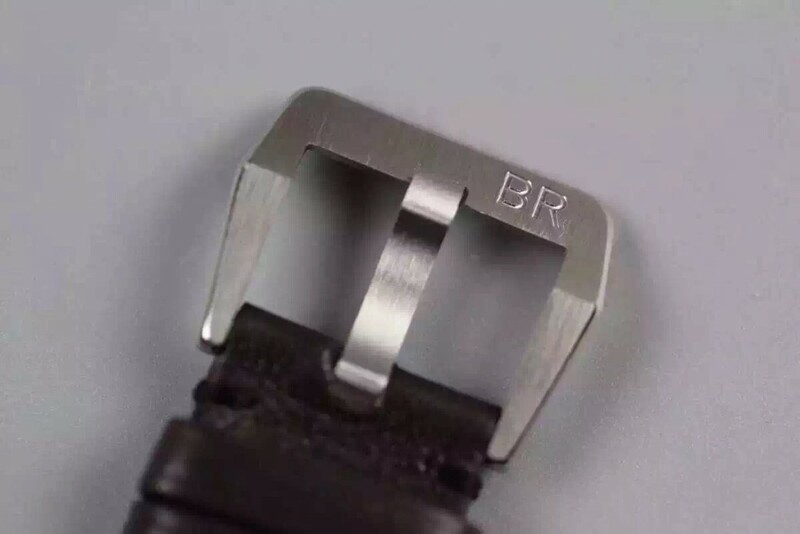 The case back engraving looks the same as genuine, it is fixed tightly by eight screws so you do not worry about water leakage. 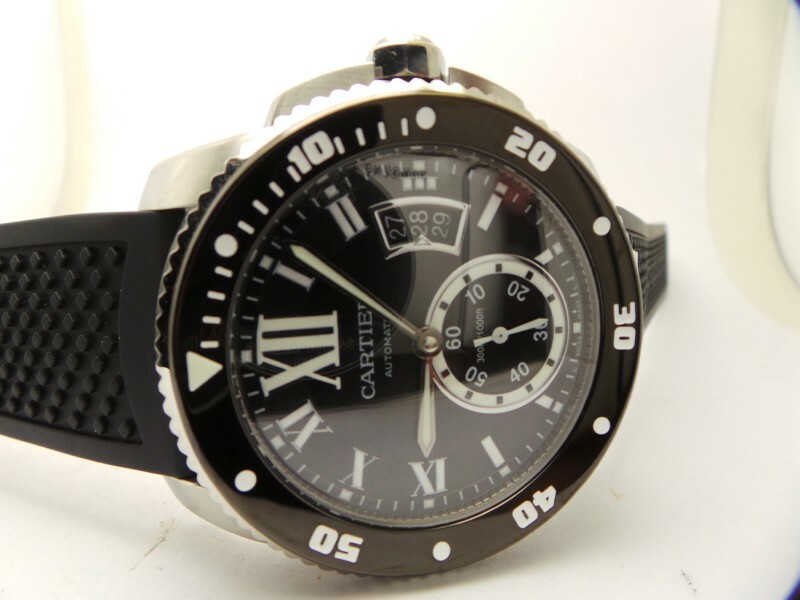 The replica Cartier Calibre Diver watch is fitted black rubber strap, which features anti-slip grain on surface, so the watch can be easily worn and token off even your both hands have sweat. 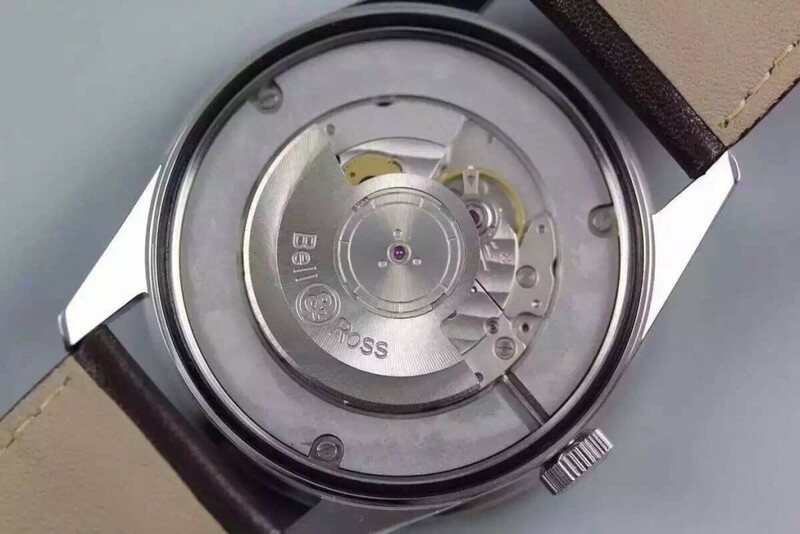 I have ever opened the case back, the movement is Asian 2836 movement, some one said it is equipped with a modified Miyota automatic movement, whatever, it is very reliable, not all replica watches like this are using such high quality automatic movement. 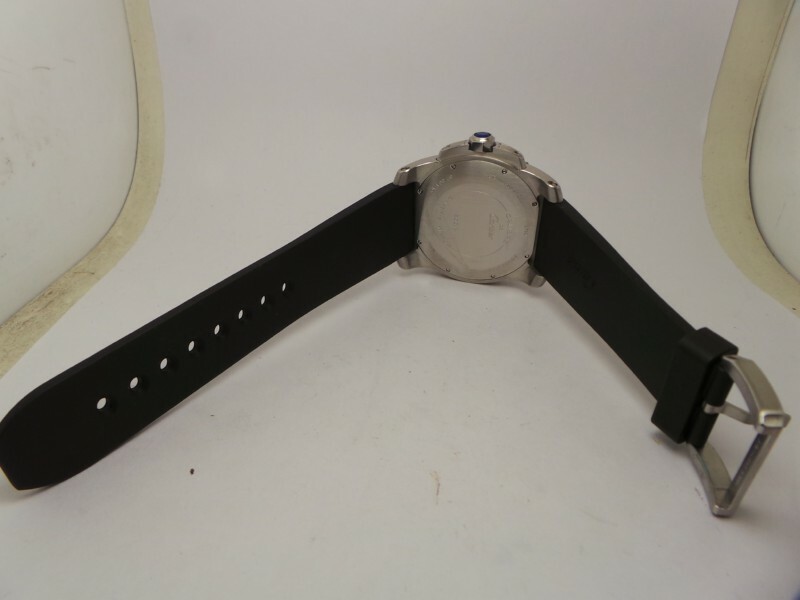 See the movement testing data, only 2 seconds error per day, very accurate. 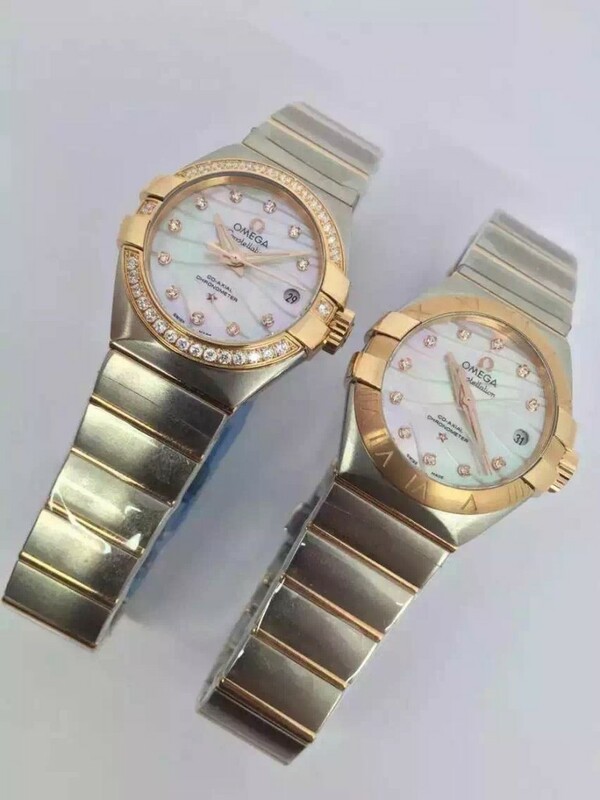 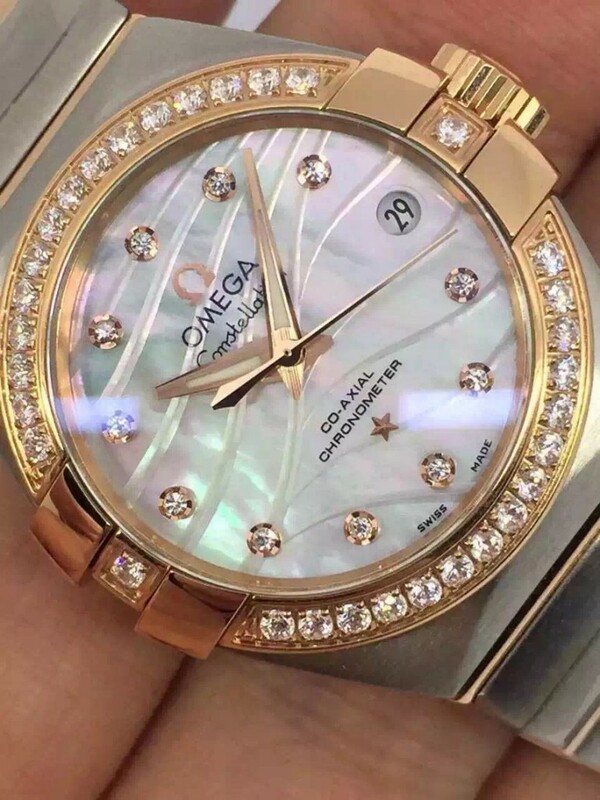 Brand news come from Chinese fake watch industry, there are two brands replicas being manufactured and will be launched in several days, one is Cartier Ballon Bleu, which is made by V6 factory, it is in two tone style and has yellow gold as well as rose gold versions, the factory also supply genuine ETA movement option for this replica watch. 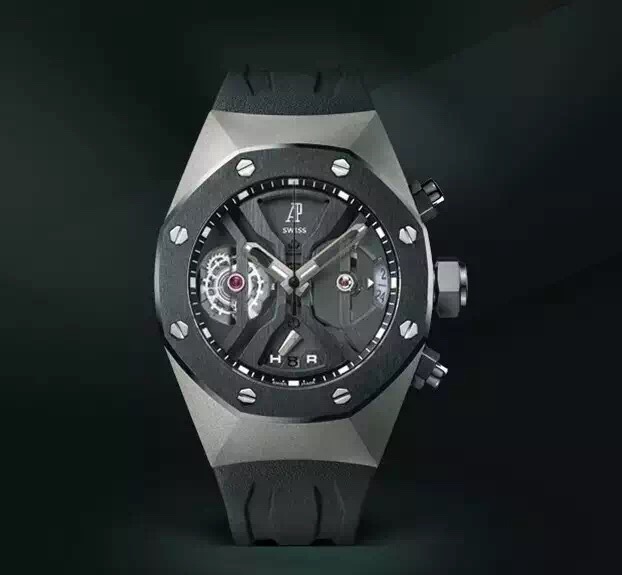 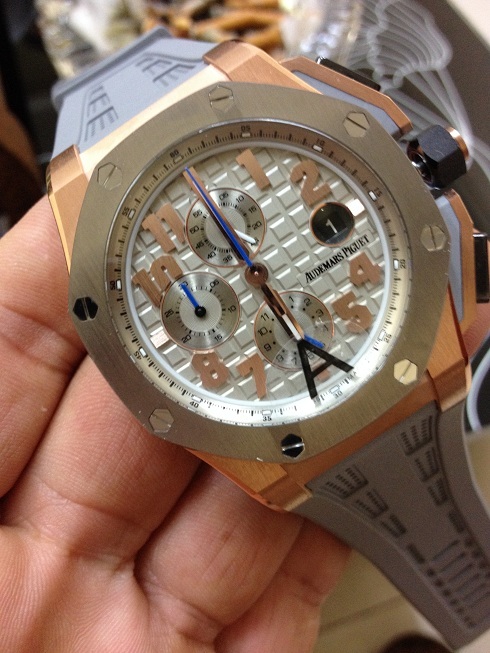 Another big guy to decorate your wrist, it is an Audemars Piguet Royal Oak Offshore replica watch, the real tough guy will like AP because of their tough appearance, whether the large bezel or staring screws, they all add masculine flavor to this big AP replica watch. 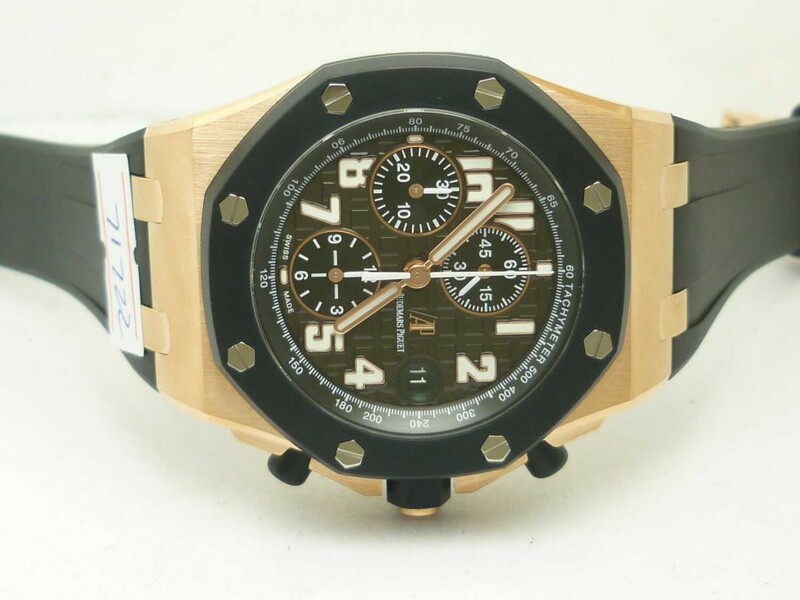 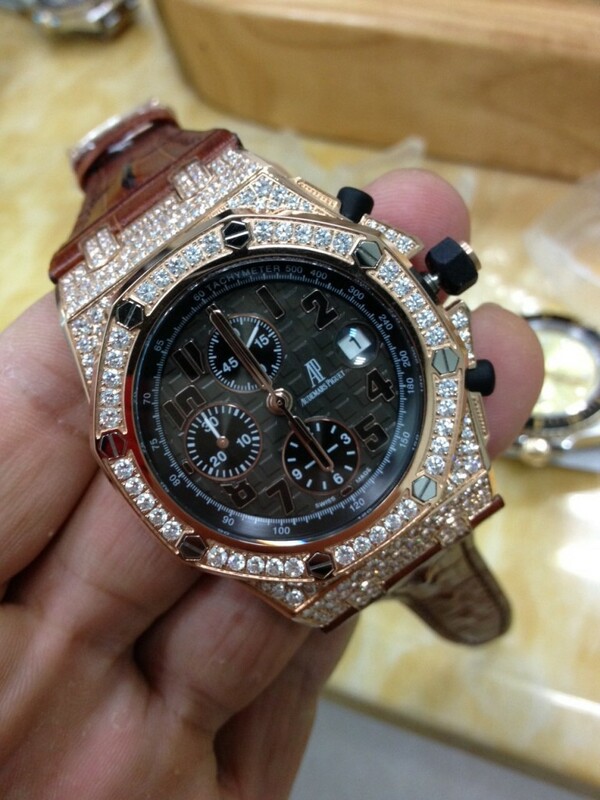 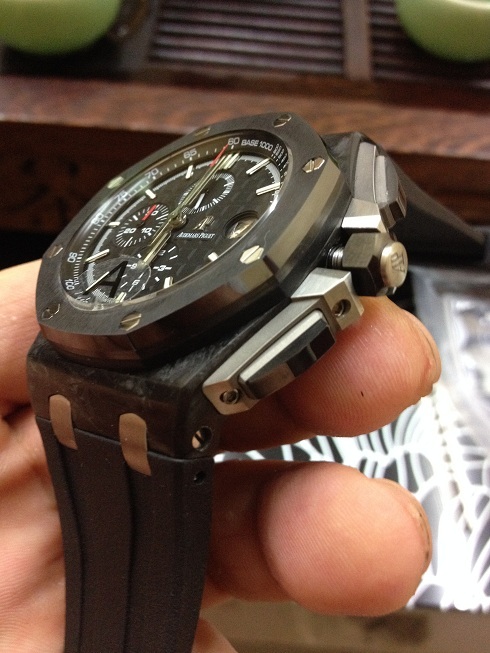 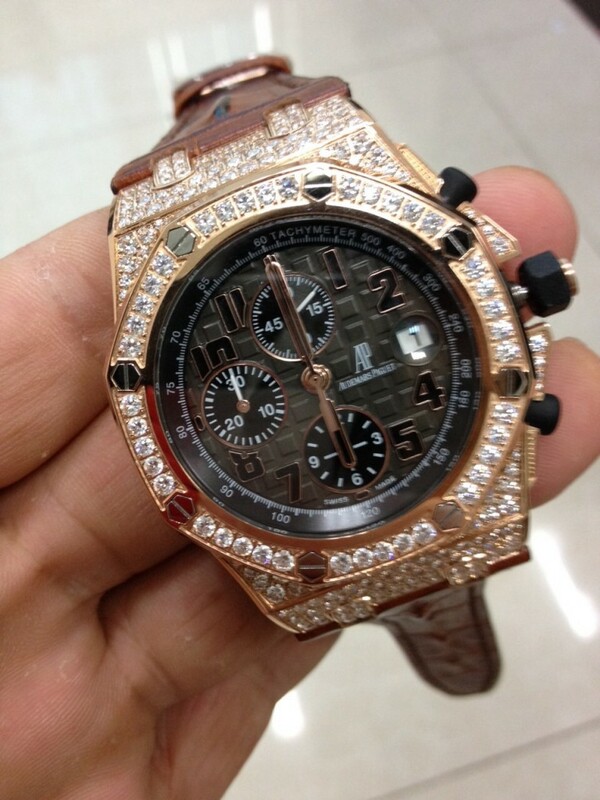 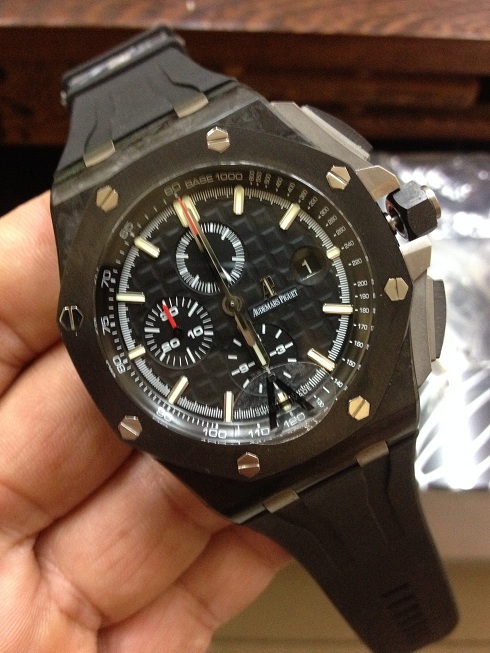 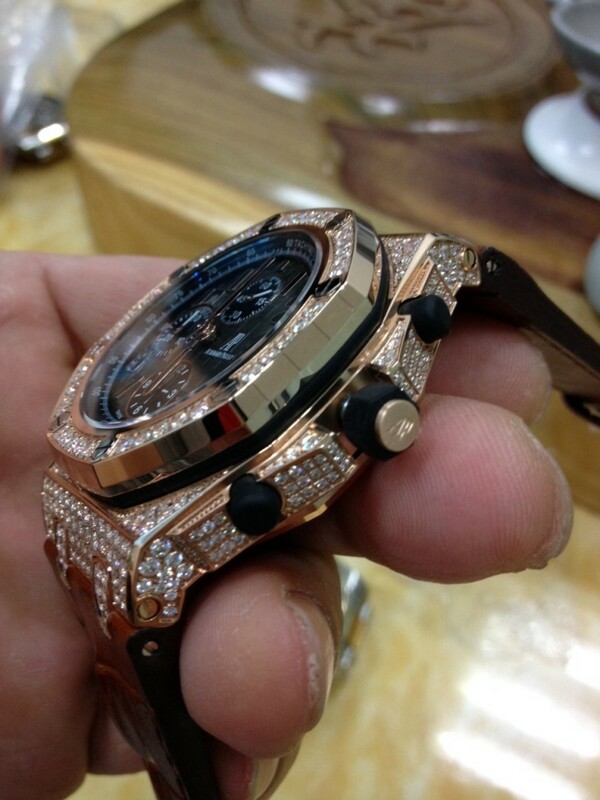 With the development of fake watches, more people are willing to spend less money to get high end replica watches that are close to gen. Take this Audemars Piguet Royal Oak Offshore replica watch for example, every detail you can feel indicates that it is a high quality replica, case polishing, dial printing, date font and case back engraving, all those details are made 1:1 according to genuine AP, people will say the weight is the big difference between a replica and genuine, in fact, this replica Audemars Piguet watch feels very heavy on hand, when you touch its case edges, case back engravings and bezel, you will get a smooth feeling, with no hand knock. 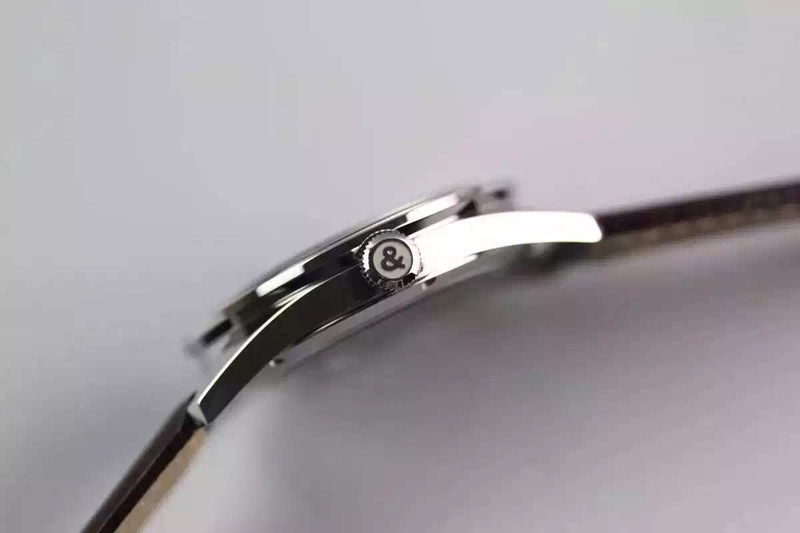 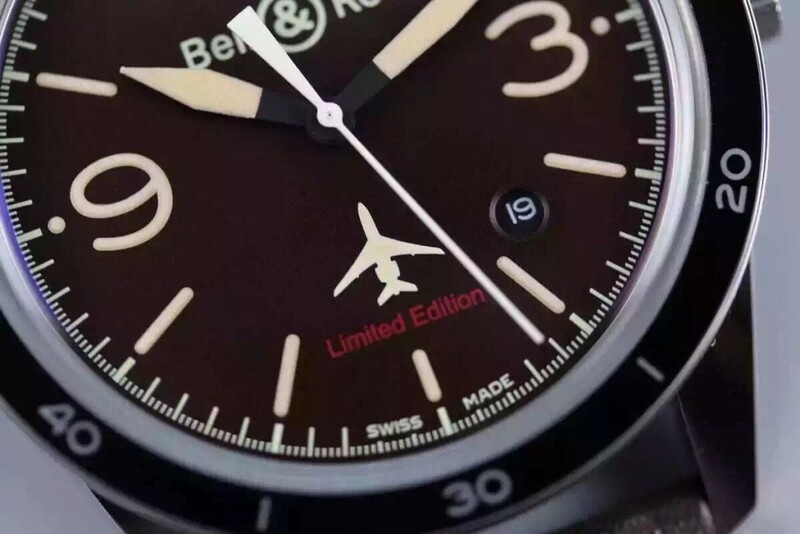 You will get the watch information on case back, the engraving has a certain of depth, screws are very beautiful, they connects the case back to case body so make the replica have perfect water resistant performance. 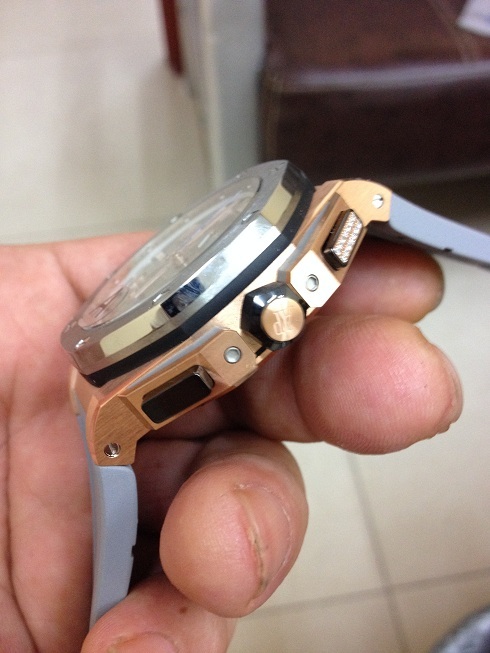 The case is made of 316L stainless steel but has thick rose gold coating on surface, rubber clad bezel is fixed by eight screws, which also connect the case back. 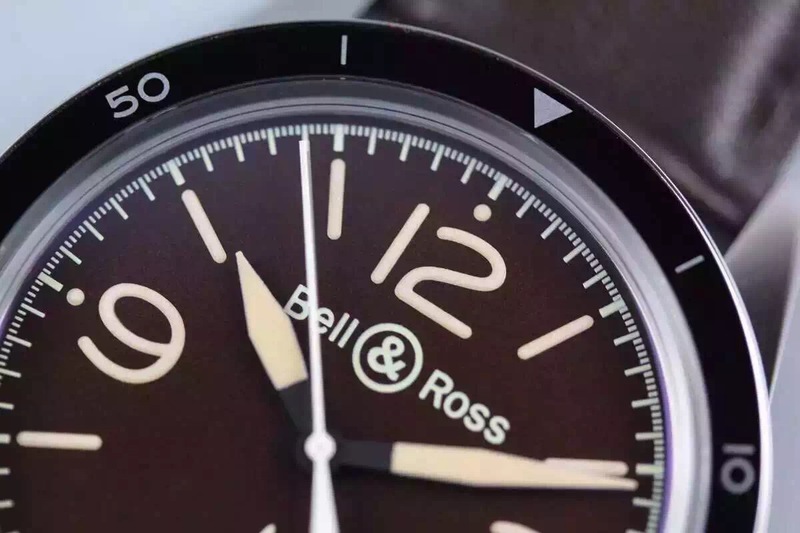 Checkered dial is in matt black, the dial has lume hour markers and hands, golden AP is beside the rounded date window at 3, the replica AP features a small second subdial at 12, three subdials all have golden round edge. 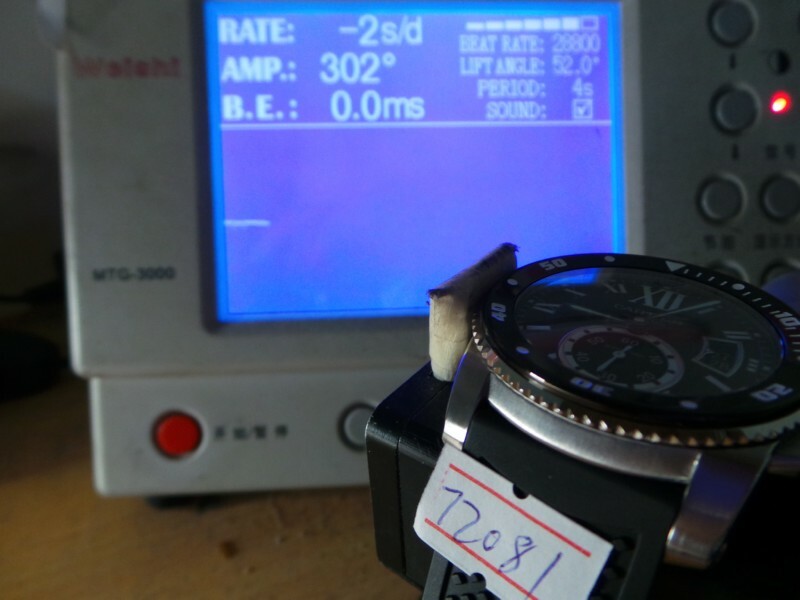 The dial has a high readability even in the dark. 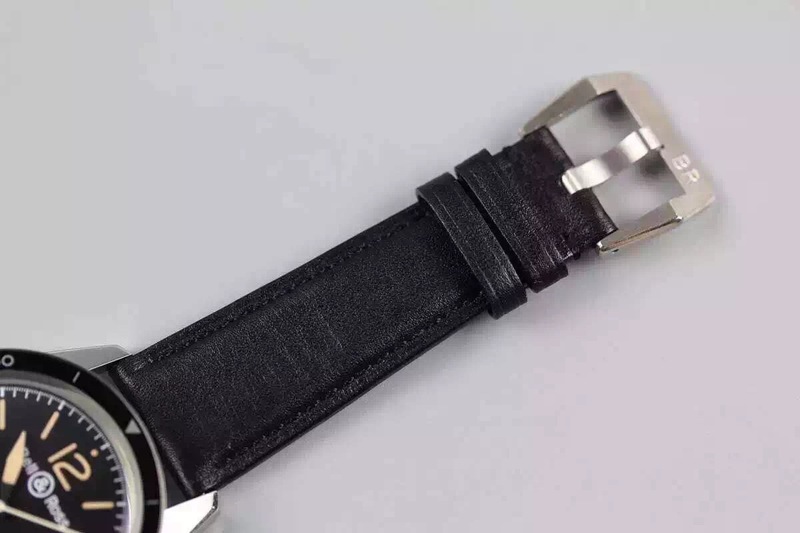 Black rubber strap is made of high quality natural rubber, deployant folding AP insignia clasp has correct engraving and is easy to open and close. 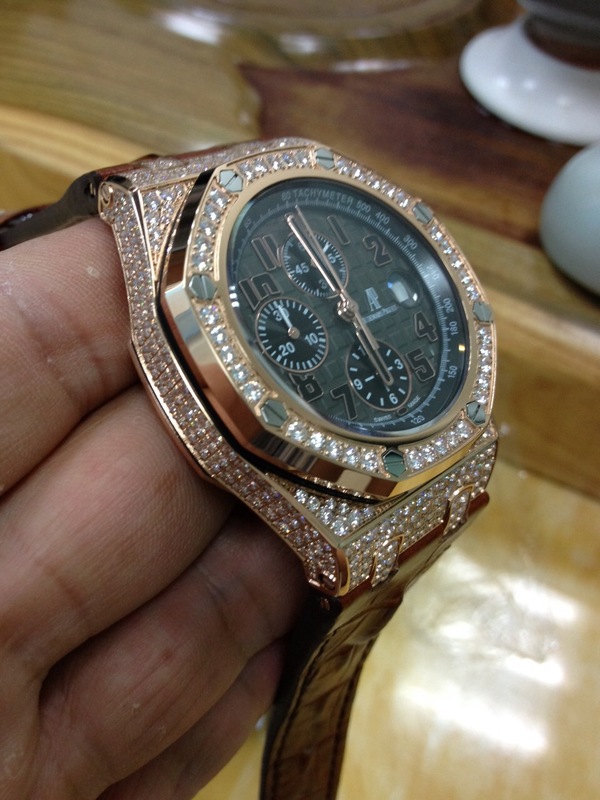 By the way, the replica Audemars Piguet watch is equipped with an Asian 7750 movement that features Sec@12, with in accuracy less than one second per day, very accurate.